If you do both of these, it will ensure that mold and mildew won’t grow. Using the squeegee will help eliminate the damp environment and leaving the door open will air out your glass shower doors. Even if you follow our tips on prevention, you’ll want to regularly clean your glass shower door to avoid any major problems in the future. But before you use any cleaner (homemade or store bought), make sure it’s safe to use on your surfaces! For instance, if your shower is made of stone, vinegar could damage it. Instead, you can use the lemon solution or use soap and baking soda. For any solution that you use, you’ll want to make sure your sponge is a not a scratch sponge. Use a soft sponge or a microfiber cloth works well, too. Using one of these formulas after every shower will keep your glass shower door sparkling. Clean your shower when you finish using it. The warm water already loosened the grime, making your job that much easier. Just use a sponge or Magic Eraser. Use a toothbrush or paint scraper for those troublesome spots near the crease. Make sure to hold it at an angle to avoid scratching the glass. 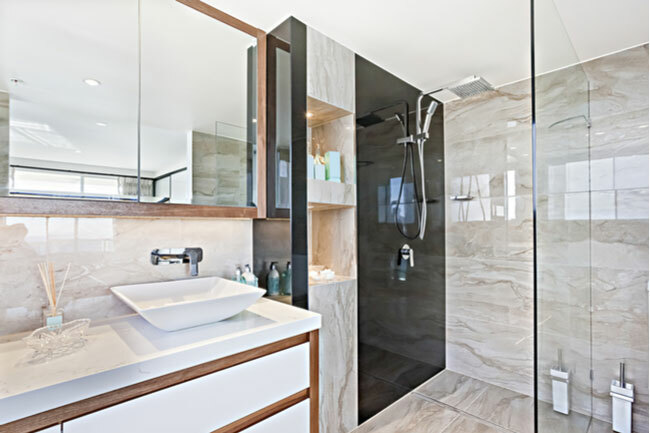 How often should you clean your glass shower doors? If you do the regular maintenance above, then you should only need to do a deep clean every few weeks. Daily: Squeegee, leave door open, and spray with the homemade solution (or just wipe down with a sponge if you’re cleaning it right after using the shower). Weekly: Give the shower a wipe down with a Magic Eraser. Monthly: Deep clean. Scrub the whole shower and whip out your toothbrush or paint scraper to reach the troublesome spots. Cleaning your glass shower door doesn’t have to be hard! 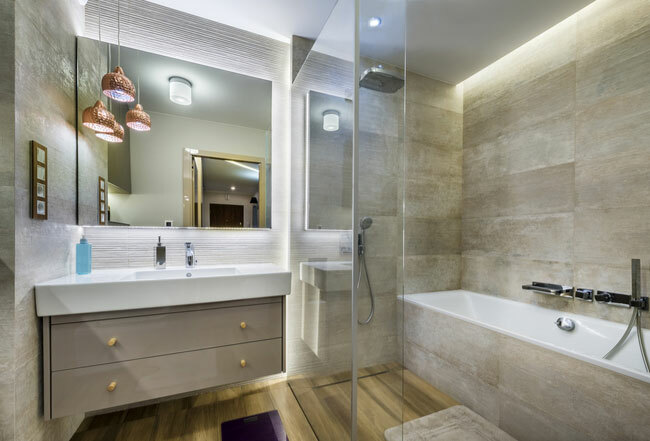 As long as you regularly maintain it, your glass shower doors will look new for years.